Is It Legal Even If It’s Legal? Like many States, the General Assembly in Maryland enacted legislation decriminalizing possession of cannabis, at least in small amounts, as well as legalizing it for medical purposes. However, these laws fly in the face of Federal prohibitions on the possession and distribution of marijuana. What does it all mean? In Maryland, possession of less than 10 grams of marijuana for personal use no longer violates the State criminal code. The user will receive a civil citation, much like a speeding ticket. The first offense carries a $100.00 fine, which escalates to $200.00 and $500.00 for additional offenses. The sale of marijuana is still prohibited, as is the possession of 10 or more grams, or possession with the intent to distribute. Possession of between 10 grams and 50 pounds is a misdemeanor that carries up to a one-year prison sentence and/or at $1,000.00 fine. Possession of over 50 pounds carries a minimum 5-year sentence and up to a $100,000.00 fine. Possession with intent to distribute less than 50 pounds is a felony with 5-year and $50,000.00 maximums. The use of marijuana for medical purposes is legal in Maryland, but the regulations are pending. Patients will be required to obtain a Medical Cannabis Patient ID Card. However, there have been legal battles about medical cannabis retail licenses to ensure that these potentially profitable licenses are awarded to a diverse group of entities. In short, it is unclear when medical marijuana will finally get off the ground in Maryland. Despite the clear trend in States to decriminalize marijuana, in particular for medical purposes, Federal law directly contradicts these efforts. The Controlled Substances Act of 1970 categorizes marijuana as a Schedule I hallucinogenic substance that has no medical benefit. This is the most restrictive category of substances. In contrast, cocaine is a Schedule II substance in recognition that it has currently accepted uses for medical purposes with severe restrictions. As a result, the CSA prohibits possession of cannabis, even for medical purposes. The penalty for possession is 1 year in prison and a minimum $1,000.00 fine for a first conviction. The penalty escalates for a second conviction to a 15-day mandatory minimum sentence, which could be as much as 2 years, and up to a $2,500.00 fine. Subsequent convictions result in 90-day mandatory minimums, with a 3-year maximum, and up to a $5,000.00 fine. Distribution of marijuana (other than small amounts without remuneration, which is treated as possession) is far more serious, with less than 50 plants or 50 kg punishable by 5 years and up to a $250,000.00 fine as the starting point. Penalties increase substantially as the number of plants or kilograms increases. For example, distribution of 1000 plants or 1000 kg carries 10 years to life in prison and a $4-$10 million fine. 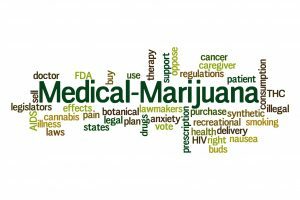 Federal law also prohibits doctors from prescribing marijuana for medical purposes, as well as for its use in clinical research trials. Banking laws a lso prohibit transactions relating to the sale of marijuana. Users and distributors face the possibility of money laundering charges. The severity of penalties at the Federal level presents quite the dilemma for State licensees who may be following Maryland law to distribute cannabis for medical purposes. These licenses gift wrap a Federal distribution case to the Feds. Licensees could face penalties, based on the weight or number of plants, of up to life in prison and a $10M fine for distribution, not to mention money laundering and other potential crimes. 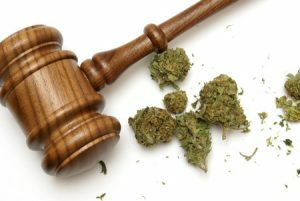 Cannabis legislation presents a grand battle between the scope of the Federal government and modern principles of federalism, the latter seeking to restrict the Federal government’s use of the Commerce Clause to regulate industries that are primarily intrastate, such as distribution and use of medical marijuana. The U.S. Constitution holds that, when in conflict, Federal Law controls over State law. While the States need not legislatively support Federal laws, such as drug laws, State efforts to decriminalize activities that are illegal at the Federal level will not impact on the Federal government’s ability to enforce its laws. 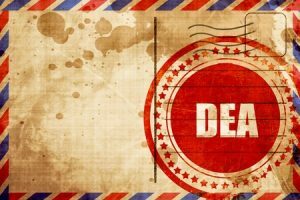 While the Cole Memorandum provides some cover for citizens who may buy or sell marijuana legally within the borders of their home state, it does not carry the force of law. In fact, with the change in administrations, the current Attorney General, Jeff Sessions, has expressed significant reservations about the legalization of marijuana. What Are The Effects Of Cannabis Legalization? Current studies about the effects of marijuana legalization are not particularly compelling one way or another. A survey in Washington state concluded that legalization had no measurable impact on marijuana usage among teens. Another paper posited that legalization had minimal effects on usage and outcomes in Washington, Colorado, Alaska, and Oregon; however, insufficient time had elapsed to obtain firm results. On the other hand, statistics in Colorado show that ER visits due to marijuana usage have increased by 29% and hospital visits have tripled since legalization. Unfortunately, clinical studies, which would better demonstrate the effects of cannabis on individuals, are not permitted due to the Schedule I categorization. Without the benefit of clinical trials, the surveys listed above have limited value in making health or safety determinations about marijuana usage, be it for personal or medical use. Despite uncertainty about the long-term effects of the decriminalization or legalization of marijuana, the clear trend among States is to move forward. 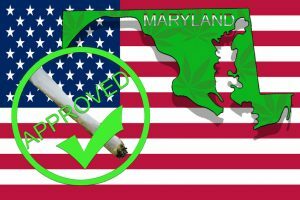 Maryland has pending legislation that would legalize personal use. There is also support for granting medical use privileges to heroin addicts. Whether these proposals have merit or not, the clash between Federal and State laws is untenable. At the Federal level, the CARERS Act would bring the Federal law in sync with State laws. The CSA would be amended to categorize cannabis as a Schedule II substance, allowing for prescriptions by doctors and clinical studies to determine the value of cannabis for medical purposes. Further, CARERS would defer to State law regarding the distribution and use of marijuana. What do you think? Did Nixon get it right in 1970? Or is this an unnecessary intrusion on State’s rights by the Feds? I welcome your thoughts on Twitter or Facebook. I am an attorney with over 20 years of experience. If you are going through a difficult time, I can be a stabilizing force to help you get out of your situation. I am diligent and conscientious. I do not grandstand or play upon your fears. I will be honest with you about your legal matter, and I will be honest when dealing with the court and the opposing side, but I will always advocate for your interests. In advocating for your interests, keep in mind that a judge will tune out if he or she believes that we are not being reasonable, so it is paramount that we prepare a strategy that has a chance to be successful. In developing a strategy for your case, we will realistically discuss the prospects of your case, even if it means telling you something that you do not want to hear. Look out for attorneys who overemphasize the need to be “aggressive.” While it is important to pursue your best interest aggressively, we must first carefully reflect on and identify your best interests in your case. One of the responsibilities of an attorney is to be a “counselor” of law. Therefore we will discuss your situation and come up with a strategy that is effective, efficient, and in your best interest. It is just as important to look at the risks associated with any particular course of action, as well as the rewards. In particular, with family law, I do not believe in “punishing” the other side as an end in and of itself. However, if we pursue a course of action in your best interest and that gives you an advantage over the other side, this is perfectly acceptable. With family law, if you have young children, please remember that the case is never really over until the youngest child turns 18 or graduates high school. If it is possible to work out an arrangement that everyone can live with, that will save an enormous amount of time, money, and emotion for you and your children.